Throughout the ages, intermittent fasting has played a prominent role in a number of cultures and religions. It turns out it’s not just an effective way to lose weight, it can promote overall good health. Matthew McAllister, an assistant professor at Texas State University, says going short periods with little to no food -- something called time-restricted feeding (TRF) -- can provide cardiometabolic health improvements in body composition while reducing inflammation and improving blood lipids. According to McAllister, research has shown that having a set amount of time for fasting and another time for eating will lead to a healthier heart while reducing negative health effects like diabetes. “What we are doing is time-restricted feeding. It is a way to use fasting each day to promote various aspects of cardio-metabolic health,” McAllister said. In one study, participants ate regularly during an eight-hour period. For the remaining 16 hours of the day, they consumed water but no calories. It’s worth noting that the participants did not reduce their caloric intake for the day, they just focused it in an eight-hour period. 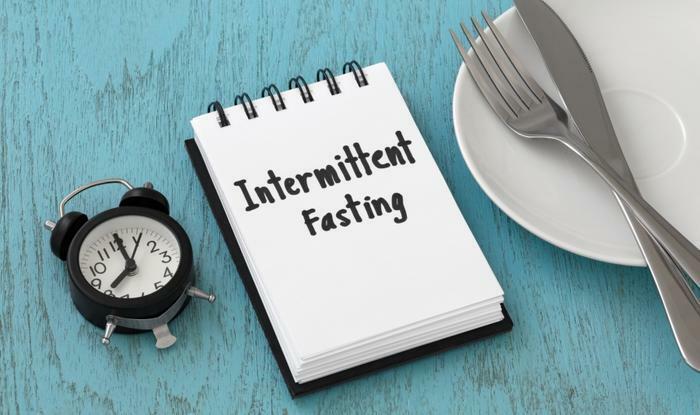 Intermittent fasting has been recognized as one of ConsumerAffairs’ five methods to lose weight quickly. If done correctly, it can actually improve overall health. One popular calorie-restriction diet calls for eating regularly for five days and then eating 500 calories or less the other two days. Parkman says it’s natural to feel hungry when you’re doing this but that you should never starve yourself to lose weight.